WASHINGTON:- US President Barack Obama said in an interview to be aired Monday that he has ordered a probe into attempts to quash an investigation into the mass execution of Taliban prisoners in Afghanistan. The New York Times had reported Friday that top officials from the previous administration of president George W. Bush discouraged separate probes by the Federal Bureau of Investigation, the State Department and the Pentagon. They wanted to hush up the killing of up to 2,000 prisoners in 2001 because it was carried out by the forces of General Abdul Rashid Dostam, an Afghan warlord then on the Central Intelligence Agency's payroll, it said. "The indications that this had not been properly investigated just recently was brought to my attention," Obama told CNN television during his visit to Ghana over the weekend. "So what I've asked my national security team to do is to collect the facts for me that are known, and we'll probably make a decision in terms of how to approach it once we have all of the facts gathered up," Obama said, according to excerpts released by CNN. "I think that, you know, there are responsibilities that all nations have, even in war, Obama told CNN. "And if it appears that our conduct in some way supported violations of laws of war, then I think that, you know, we have to know about that." The network plans to air the full interview at 10:00 pm Monday (0200 GMT Tuesday). A powerful commander in control of a section of northern Afghanistan, Dostam first allied with the Soviets during their invasion of the country in the 1980s. But later he sided with the Americans and received military and CIA support after the United States invaded Afghanistan in the wake of the September 11, 2001 attacks. Dostam's militia worked closely with US Special Forces and was part of the Northern Alliance, which helped the United States topple the Taliban. According to The Times, the Bush administration was concerned that an investigation into the killings could hurt Afghan President Hamid Karzai because Dostam had served as a defense official in his government. 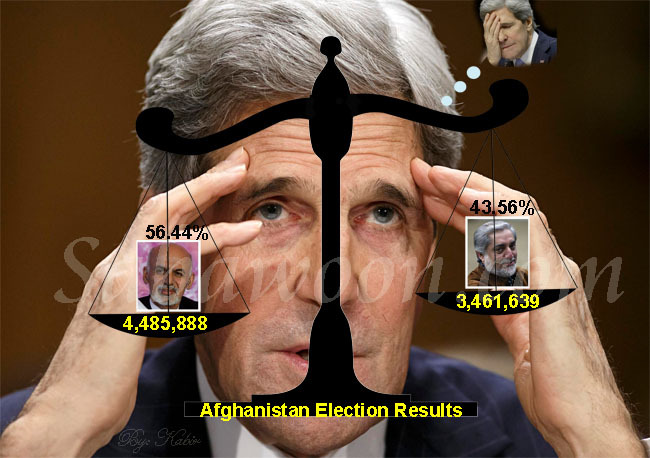 The Obama administration has maintained frostier relations with Karzai, whose government is seen as corrupt and unpopular, although the new president has dispatched 21,000 fresh troops to Afghanistan ahead of elections there in August. But he remains in exile in Turkey, and US officials have pressed his sponsors there to delay his return to Afghanistan, the Times said, citing an official briefed on the matter.